Registration lines: ICCES2019 provides two table lines for registration, please go to either one of the registration table to complete the registration. Go to Table 1/Table 2 to check in. After check in, you may take your badge with meal tickets all together. To be noticed that the meal tickets are mounted at the back of the name badge, please carefully tear off when you go to lunches/reception/banquet. 3. With the name badge, you may go to Table 3 to check your conference bag with program book and other materials. Registration procedure will be as same as the March 24. To be noticed that, the opening ceremony and plenary talks begin at 9:00 next door (room 8 (402)) of the registration room. Cash payment is preferred for on-site registration payment. Only Japanese Yuan (￥JPY), US Dollar ($USD), and Chinese Yuan (￥RMB) are accepted. 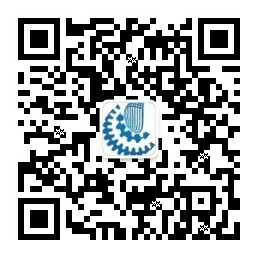 Accompany person is charged 400$ USD for entry of Opening Ceremony, Welcome Reception and the Banquet. 1. Please click the “ICCES Registration Form” to fill out the registration form. 2. For the “Personal Information” part, please fill out the information as required. 3. For the “Papers” part, please click “yes” if you have paper submission and fill out your submission ID and the title. If you do not have paper submission, please leave “No” and ignore this part. Note: If you have multiple submissions, you can add your paper information by click the “Add anothor article” button. Each paper is required for registration separately. 4. For the “Registration Package” part, please select the registration package. Note: You can make group registration by choosing the number of each package. To benefit from the student discount (including doctorate and fellow), student must send proof of the full-time registration as a student for Fall 2018 or Winter 2019, such as a copy of your student ID or schedule. The proofs can be uploaded online by click “Add files” button (you can keep adding files if necessary). 5. For the “Accompanying Person” part, please fill out the number of accompanying person and the necessary information. By clicking the “Add anothoring accompanying” to add another accompanying person. 6. Click “OK” at the bottom to continue the registration. 7. An invoice will be generated and you may print it out for record. 8. Please choose your payment option by choosing the drop down payment options at the right bottom. 9. You may choose “Online payment” to use your credit card, or “Wire transfer” to make bank transfer. 10. Confirmation email will be sent to you after the payment is confirmed. If you have questions or troubles to access the registration form, please contact icces@techscience.com for assistance. You can also complete the registration by bank transfer and email icces@techscience.com with a copy of your bank proof. Please write “ICCES2019+submission ID” on the bank transfer receipt (from the bank), and e-mail the scanned copy of your receipt to icces@techscience for checking. At least one author of each accepted paper must register using the author registration rate to ensure that the paper is included in the conference proceedings. The author registration must be received before and by the specified author registration deadline, February 10, 2019. Payment of the regular registration fee covers the cost of conference venue and session rooms renting, coffee/ tea breaks, conference banquet, and all lunches during the conference. Notice that the registration fee does not cover traveling fee and hotel fee. Payments sent by bank transfer must be free of charges for ICCES2019 and only the bank transfer is accepted for author registration. If the same author has more than one paper accepted by conference, each paper is required for registration separately . Account Name: Tech Science Press LLC . Written cancellations or requests for refunds before February 16th 2019 0:00 am pacific time are available and are subject to a $30USD handling fee. Online payment refunds will be issued back to the credit card which made the payment. From February 16th, 2019 to February 28th, 2019, cancellations or refunds are still acceptable with a non-refundable $100USD charge for banquet booking. Registrations cannot be canceled or refunded after February 28th, 2019. According to ICCES policy, all meal (including reception, lunches, and banquet) events require preregistration. The above cancellation/change information also applies to all meal events. No meal tickets will be sold onsite. Note: The refund and cancellation policy apply only to attendees who have not provided BUSINESS VISA application materials. If the participants are guaranteed to apply for BUSINESS VISAs by the Japanese local committee and cannot attend or cancel registration for particular reasons, the local committee will report the cancellation of the guarantees to the embassy. Refunds will be processed after March 1st, 2019. If the VISA application is denied or failed in approval, please contact us and send the proofs of the VISA issue, and we will still process the refund requests after the cancellation deadline with a nonrefundable prepaid amount of $150USD for the meals booking charge and handling fee.